Jack and Teresa Harris established Harris Farms in Central California in 1937. Jack’s son, John Harris and John’s wife, Carole, oversaw five divisions of Harris Farms for several decades. Still family owned, Harris Feeding Company and Harris Ranch Beef Company are now operated by the Brian Coelho family. Focused on our dynamic future, Harris Ranch remains dedicated to the core values of our iconic brand. Harris Ranch established a reputation for innovation in the beef industry, pioneering the development of a unique, branded beef program in 1982. One of the most recognized brands on the West Coast for 50 years, Harris Ranch continually strives to produce the highest quality beef in the world. We proudly feature grass raised, grain finished minimally processed beef with no artificial ingredients. 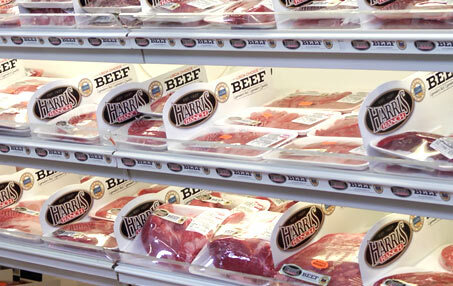 Harris Ranch works with both large and small operators in retail, foodservice and export. We process the high volumes required by some of the largest retailers and foodservice distributors in the U.S. We also process unique, “produce to order” products for customers who appreciate our flexibility. Harris Ranch has developed a brand synonymous with quality and consistency. Our name provides a point of difference for supermarkets seeking to offer customers premium quality and the value of the west’s most recognized brand of beef. 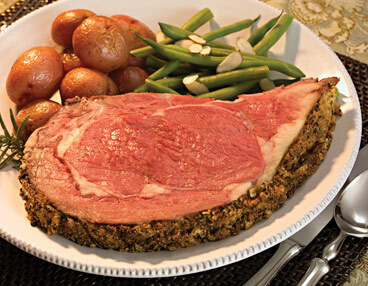 Our expansive product line of fresh boxed beef, value-added ground beef, fresh seasoned beef, fully cooked beef entrees and deli meats is as pure and great-tasting as nature intended. 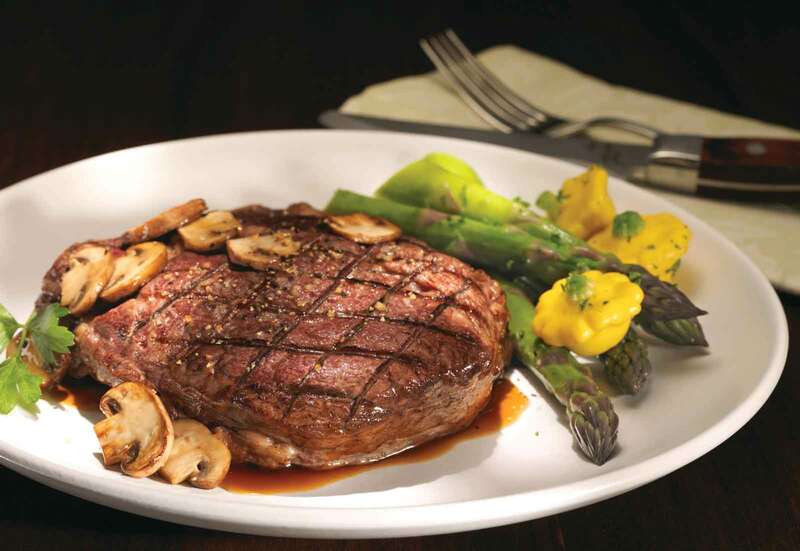 Foodservice operators seeking a superior center-of-the-plate offering need look no further than Harris Ranch Beef. 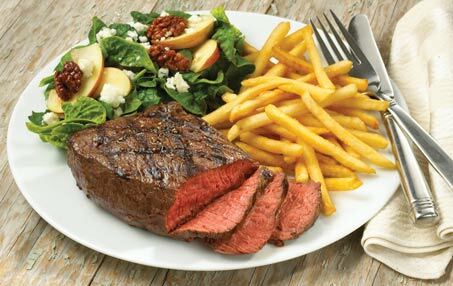 Our beef programs for foodservice include our white tablecloth Black Angus Beef, which is USDA Certified, plus Harris Ranch Certified Premium Beef — a non-breed specific program. 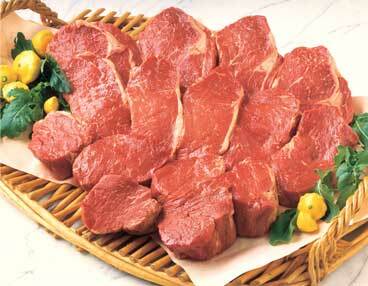 In California we also offer local, California-grown Certified Angus Beef®. Harris Ranch cares deeply for our livestock and the land. We take pride in how we raise our beef. Harris Ranch partners with progressive cattle ranchers who contribute to rangeland enhancement, protect watersheds, and help build wildlife ecosystems. 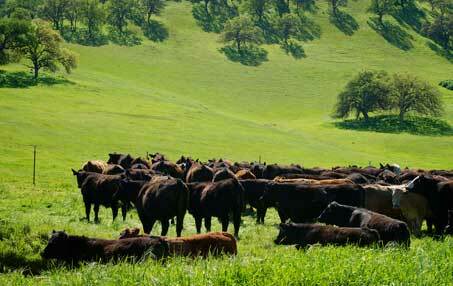 Our beef cattle spend as many as 16-24 months grazing on western ranches before coming to our feedlot for finishing. Genuine cowboys ride our pens daily — rain or shine — to keep a watchful eye on the cattle and examine their state of health. Our unique, fully integrated production system enables Harris Ranch to control every aspect of beef production—cattle procurement, feeding, processing and distribution. By implementing stringent quality control measures before, during and after processing our beef, Harris Ranch builds the highest standards of food safety and quality assurance into our beef products. 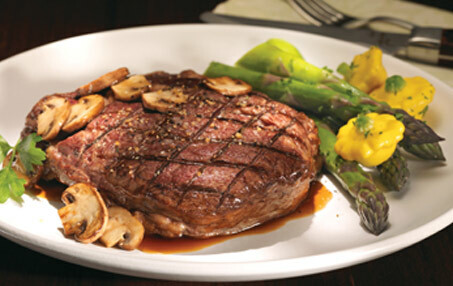 Harris Ranch tender and juicy filet mignon is the perfect cut of beef for a candlelight dinner at home. Whether you are celebrating a special occasion or simply treating yourself to a mouthwatering meal, this recipe will make the moment memorable. This delicious recipe will delight the meat-and-potato lovers at your table. 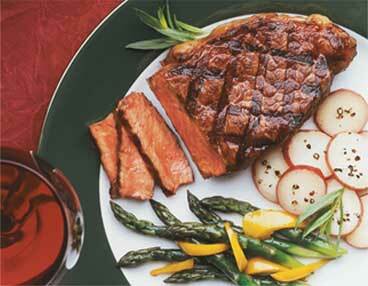 Quick and easy to prepare on the grill, New York Stip is a favorite cut of beef for good reason. Topping it with our Jack Daniel’s Mushroom Sauce enhances the flavor to perfection. Hearty and delicious, this is not your every-day chili. Slow cooked for melt-in-your-mouth tenderness, Harris Ranch Tri Tip takes this chili recipe to a whole new level of flavor. Serve with corn or flour tortillas instead of crackers for an authentic meal.